Reward your employee's contributions with a stunning safety award from our Safety Awards collection! Without a simple, ongoing safety recognition program, your overall safety results may fall short of your goals. When employees are recognised for their safety contributions, they naturally engage at a higher level and contribute more. Reward your employee's contributions with a stunning safety award from our Safety Awards collection! Thank you for quick efficient service. 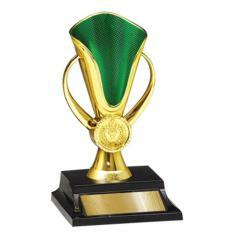 I placed an order for trophies for my Kindermusik Young Child graduates and received the goods promptly. I would recommend this company to anyone wanting fabulous professional service. The only thing that I would like to give feedback on is how amazing you all were. It was an easy process to get the awards made, organised and delivered. Everyone was very helpful and informative. Thank you for all your help. We love the awards! Thanks for the cheeseboard that arrived today. It looks great! You definitely are a great company to deal with.